This week's blog is really not so much about Marcia as to Marcia. The time for frolic is over – you have a book to write. Ways With Words was great fun and I am so very glad that you enjoyed listening to so many of your fellow authors and doing so through the eyes of a writer. Apart from anything else, we had great fun when you came home afterwards and we talked through what you had heard, the questions that had been asked and the answers that had been given. Since there are no suitable photographs to go with this week's blog, I am asking you to indulge me. 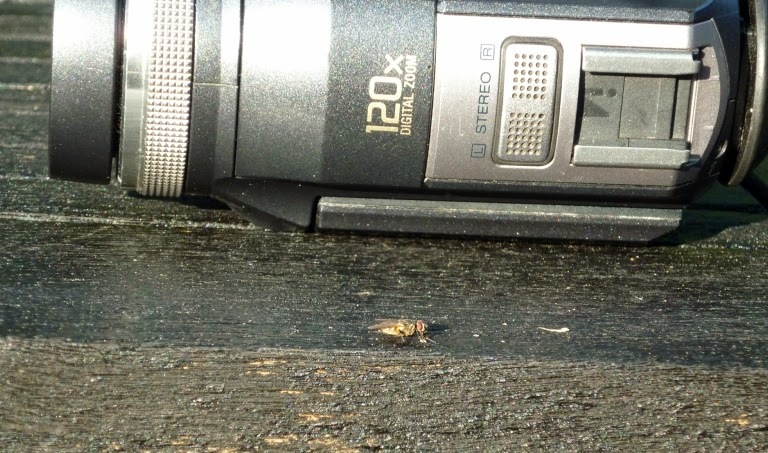 I know that bugs are not your favourites but here is a fly sitting on the table in the garden in front of my Sony Handicam. These chats confirm me in what I felt all those years ago when I acted as an usher for this festival: many authors when they appear in public get between their readers and their books. I am convinced that your decision to eschew festivals was the right one. Better by far to let the books speak for themselves – it's what they are good at. And here he (she?) 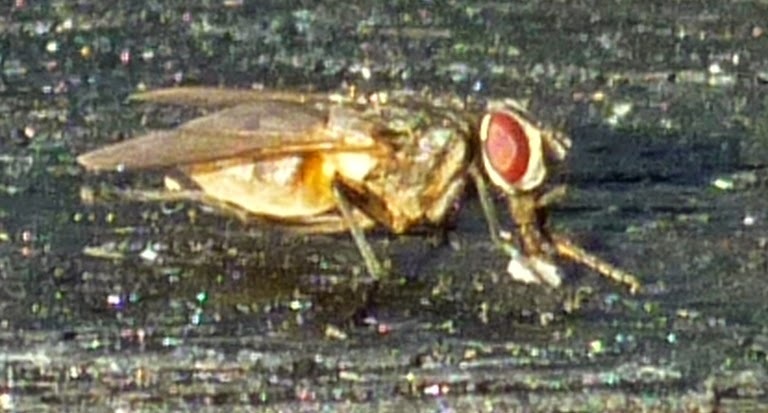 is again in close up. My, and what big eyes you have! There are no such things as universal truths when it comes to talking about writers and especially novelists. Within the world of fiction there are so many different genres and even that is a simplification: some novelists are supreme story tellers (Mary Stewart is one example) and some story tellers can make the characters jump off the page while others succeed because the story is so fascinating that the characters are almost secondary – true of “who dunnits” (which is not to say that writers working in that category people their books with cardboard cut outs). 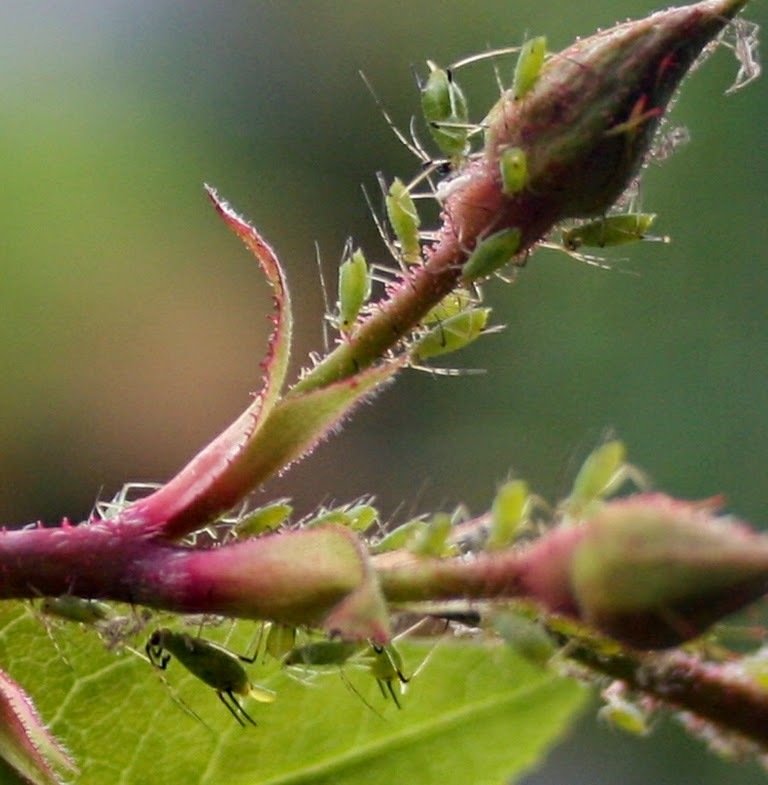 Gardeners will, I am sure, sympathise - green fly on the roses. Grrr. Some novelists are superb at tackling issues (Joanna Trollope being such a one) and, of course, there are those who set their books in the past and enable us to feel that we really are there living in that place at that time (Helen Dunmore and Hilary Mantel spring to mind). Whilst talking about historical fiction I would like to mention two authors who stand head and shoulders above all others in my particular favourite area: the Royal Navy in the late 1700's and early 1800's. They are C S Forester and Patrick O'Brien. Now I feel terribly guilty because I have left out some who run them a close second (such as Alexander Kent – the pen name of Douglas Reeman who, under his real name writes about the second world war, as does C S Forester) but it would be tedious to mention the names of all the writers whose works I have read and enjoyed. Wer were looking for the location of the next book when we came upong this stick up on a bank beside the road. It is about four foot long. 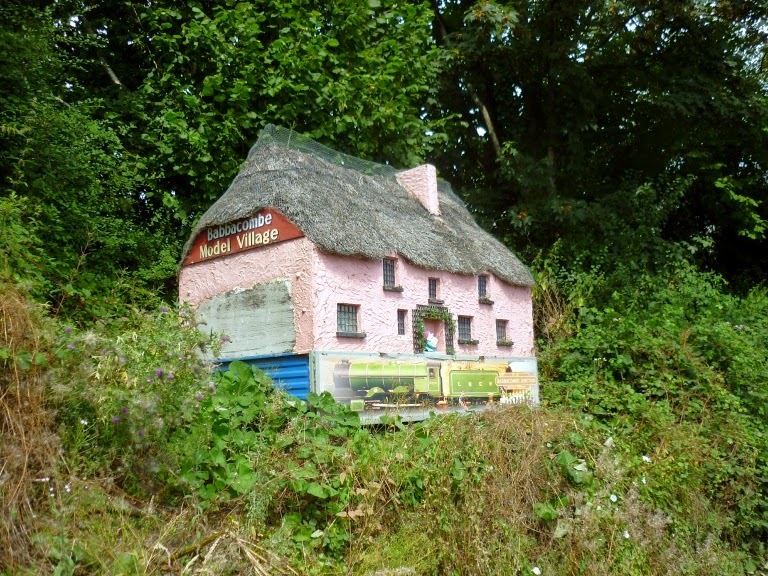 Did it come from the model village at Babbacombe? Probably. Why is it stuck out in the middle of nowhere? No idea. Some create a magical and fantastical world (as does David Mitchell) and then there are genres that in general terms I do not read and know little about such as sci-fi. Then there are a few who tackle writing differently: they enter into the minds and souls of their characters, into their joy and pain, their hope and despair. The story ceases to matter – what matters is how the people (they are no longer characters for they have become friends) cope with whatever it is that life throws at them. Such novelists are rare – yours is the name I would put in brackets when thinking about them. The Dartington Summer School was a different matter and I know that you found some of the concerts you attended extremely moving. Listening to music has has changed so much during my lifetime. Now we have the very greatest artists available to all of us on CD's or on various bits of technology such as iPlayers that listening to second-rate live performances is not always an entirely rewarding experience (and that is true no matter what music we are talking about). But, and this is a huge but, as I know from my own experience, making music with others is a profoundly satisfying experience and most of the people at the festival were not just “audience” as they were at Ways With Words but performers as well: music makers listening to other people making music and making music for other music makers. I am sure that is why you found some of the performances so emotionally charged. 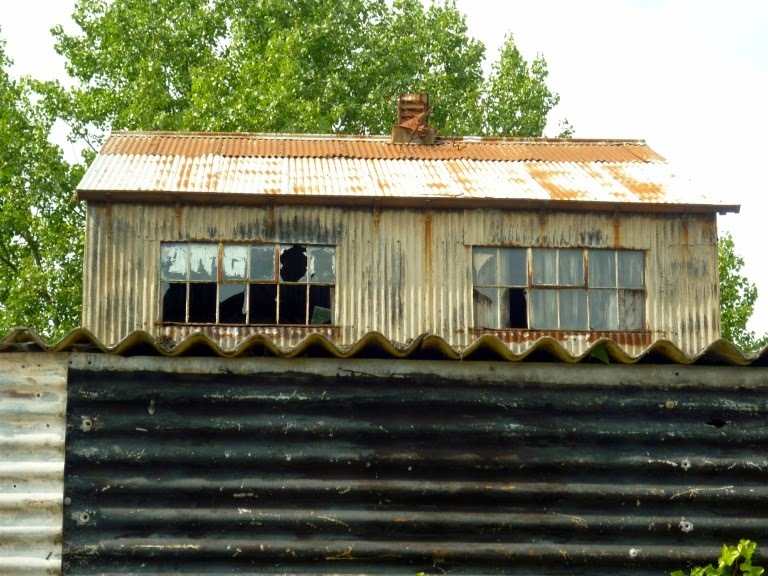 Another passion of mine, corrugated iron. What a wonderful example this is! You are quite right: the “feel” at Dartington was very different during these two annual events. It would be difficult to know which one I preferred. There was always a great buzz during Ways With Words but it was very much driven by the audience – the “performers” gave their talk, listened to the questions, answered the questions, signed the books they sold after their talk – and then left. During the Summer School there was a different buzz: the performers generally speaking were around for most of if not all of the festival, the average age was far younger (although some were far from young) and many people were walking around carrying their instruments. So, at risk of repeating myself, the time for frolic is over – you have a book to write. I will stick my neck out and make a prediction: it will be your best to date. I have a thing about collies. They are probably the most intelligent of all the breeds that I have had (although my cairn terrier ran my collie cross a close second and they were, probably as it happens rather than anything else, very good friends). This chap, patiently looking at his master while the silly man in front of him keeps clicking away with his camera, is known as Nahuel.